If you need it, we’ve got someone who can do it. You’ve come to the right place. We keep the campus safe, clean, attractive and running. Contact the Customer Care Center for work requests including parking services, cleaning requests, maintenance repairs, heating and cooling issues, restroom problems, grounds maintenance, recycling, painting, environmental safety, and classroom concerns. 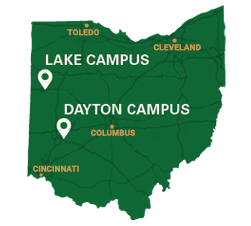 Please contact our Customer Care Center at (937) 775-4444 during normal business hours of Monday–Friday, 7 a.m.–4:30 p.m; and after hours, by calling the Wright State Police Communications Center at (937) 775-2111. As part of the Public Employment Risk Reduction Program (PERRP), Wright State must inform employees of their rights and responsibilities.